Leonid, who always seems to be in a cheerful mood, is a two time World Championship Candidate. His style is quite a bit more dynamic than Novikov�s. This leads to more victories, yet every so often he gets careless and lets a lower ranked player score on him. He likes to avoid the well trodden theoretical lines and often plays his own �pet� systems. You will often see him playing 3.Bc4 against the Sicilian and other positional anti-book variations. 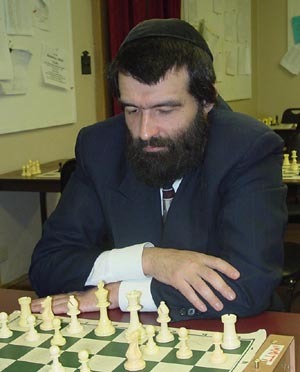 He always plays e4 and as is common these days among the top players, a strong supporter of the Najdorf Defense. Yudasin is the KING of this event, topping the money list as the only player to break $16,000 in total earnings. As of October 2004 Leonid is ranked number 5 in the USA.